One in every eight babies is born prematurely each year. They are not yet fully developed, and their skin is incredibly sensitive to temperatue. Your gift of just $25 a month provides 120 baby hats to the Neonatal Intensive Care Unit over the course of a year. These hats not only provide warmth to the babies, but also allow their parents the joy of holding them without the heat from their incubators. This is just one example of the kind of gift changes lives. As a public hospital, UVA Children’s Hospital never turns families or patients away, regardless of their financial status. During 2015 alone, 3,734 families drove two to five hours or more to seek care at UVA Children’s Hospital. More than half of our families qualify and receive assistance from Medicaid for healthcare coverage. Many of these families face financial hardships outside of their medical bills—the long trips to and from the hospital, lodging while their child receives treatments, child care for siblings. 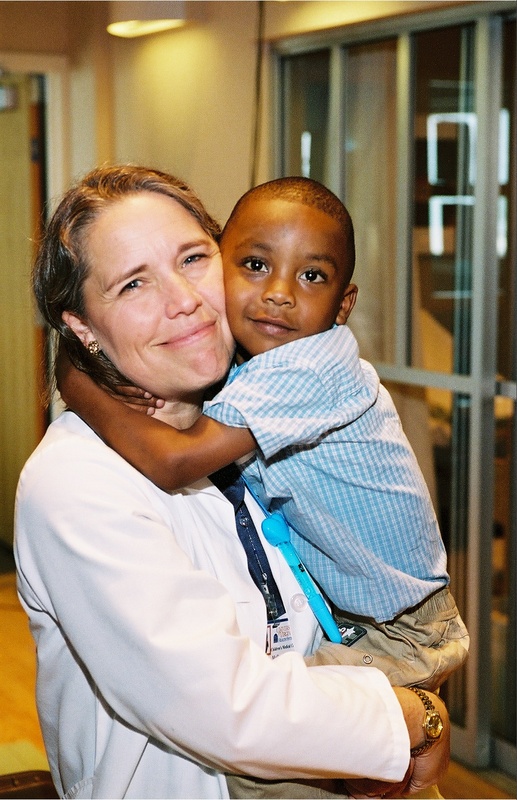 The UVA Children's Hospital annual fund provides support to areas with the greatest need, whether it be for a particular family or a pediatric department with a specific wish. Your gift of $100 buys medical play equipment for patients, which allows nurses and Child Life Specialists to educate and comfort children during their hospital stay. Your gift of $250 helps buy specially programmed iPads that allow working or far away parents to monitor their premature babies via a live video feed. Your gift of $500 helps to fund the Hospital Education Program, which fosters learning and cognitive development during a child's healing process. Your gift of $1,000 buys chemotherapy chairs custom made for children. These specially designed chairs make the infusion process much more comfortable for younger patients. Your gift of $5,000 provides seed funding to pediatric researchers dedicated to finding new treatments for both common and rare diseases. Without this funding, such research would not be possible. *These are examples of things your gift could buy. Supporters who make an annual gift of $2,500 and above qualify as members of the UVA Rotunda Society.